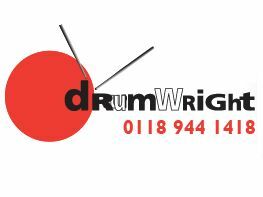 PRESS RELEASE: DrumWright in Woodley will be hosting an open day on Saturday 4 July to give drummers the opportunity to try out the latest new gear from Mapex and Paiste. The new Meridian Maple and Birch series, the latest Black Panther snares, including the Chris Adler signature model, the 700 series hardware, plus a fantastic selection of the whole range of Mapex kits and hardware will all be set up ready to play. With over 200 Paiste cymbals in stock, this is also your chance to find the perfect cymbal combination. The new Twenty series cymbals provide the perfect balance of dark and light with their complex, soulful tones; the 2002 is a legendary series that is utilised by some of today's most innovative drummers; while the Alpha is fast becoming known for its endurance and powerful projection. Of course, if you find something you like you may well be able to take it home with you for a killer price as part of the 'on the day' deals. To cap it all off there'll be performances from Mapex artists as well as a visit from legendary Kinks drummer Bob Henrit.